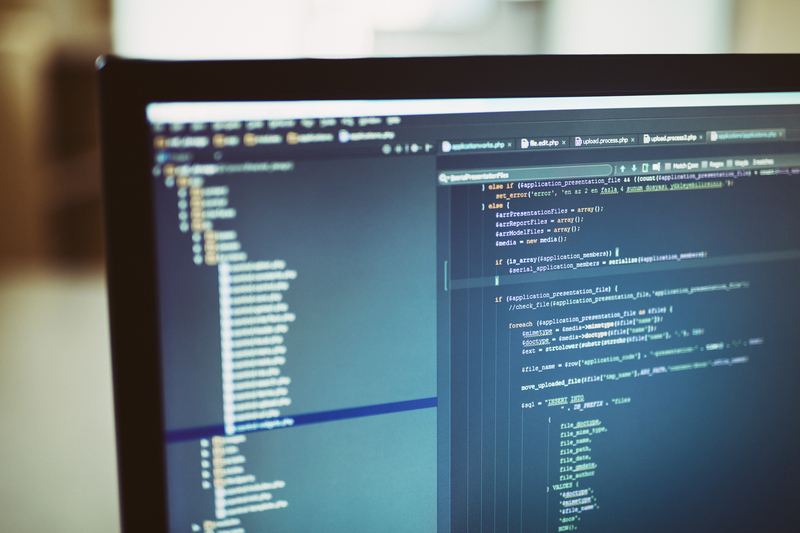 An experienced development team would never forego security measures, architecture considerations, or database design on even a short-running project, but the ability to remain agile in deployment is often the first thing to go. Let’s have another look at some of the points we presented in Part 1 that were listed as challenges for teams on smaller projects to overcome. In Scenario 2, we were focused on the idea of quickly executing a project with limited scope, budget, or even lifespan. You know the features that need to be implemented, and with a small team and high expectations on meeting the timeline, it’s hard to suggest investing in the automation of deployment. But let’s rethink those points for a moment because mastering our deployment process may just enable your team to meet those goals. If we are realistic about the costs of installation and updates to our software, perhaps some of our hesitations can be removed. Short sprints and short timelines don’t leave much breathing room and require that development is the priority, but deployment is a reality, and it will happen. 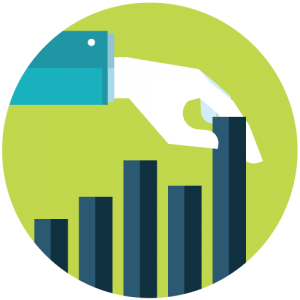 If it’s going to happen two, three, four times or more (for example to test, UAT, production, and later on, updates), then significant savings could be realized if an initial investment were to be made. Automating your deployment doesn’t have to be a painful process if you plan for it from the start. In fact, the earlier in the project you decide to automate, the more you have to gain from the savings as you move from environment to environment and refresh your application. I have seen so many prototypes, “one offs”, and samples that were never intended to stick around in production, but end up there for months or even years longer than anticipated. Things change. Users change. Success sometimes happens. I’ve even seen niche projects turn into critical dependencies inside of organizations. Perhaps not right for every project, deployment automation should at least be a consideration on any modern team. The deployment pipeline isn’t a mythical creature that all of a sudden shows up on your team’s doorstep. We know it’s going to be there at the end of our work – and more likely throughout various stages of our work – so deployment shouldn’t be something that adds stress to our team. Perhaps the best news in all of this is that you don’t have to go it alone. While some aspects of this may seem risqué or perhaps that they come with a high learning curve, there are great resources to draw from and experience to build on. 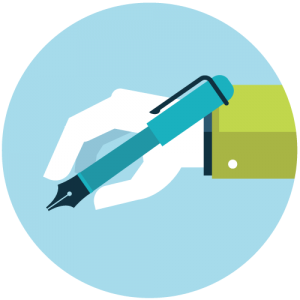 There is also great expertise in organizations like Imaginet that can help bring these benefits to your project, no matter how big – or little – your project may seem. We’d like to bring this home with a little more clarity as to how it can impact your team, so in the next (and last) article in the series, we’ll look at how you can get more productive time back into your sprints. Need help mastering your deployment pipeline? Imaginet can help! Contact Imaginet today for your free consultation call to openly discuss your deployment challenges and determine next steps towards mastering your deployments. Most organizations lack the experience to know how to successfully setup a successful end-to-end DevOps solution. As a Microsoft Gold ALM & Azure Circle partner, Imaginet is recognized by Microsoft as having the expertise you need to help your organization start reaping the benefits of DevOps today. 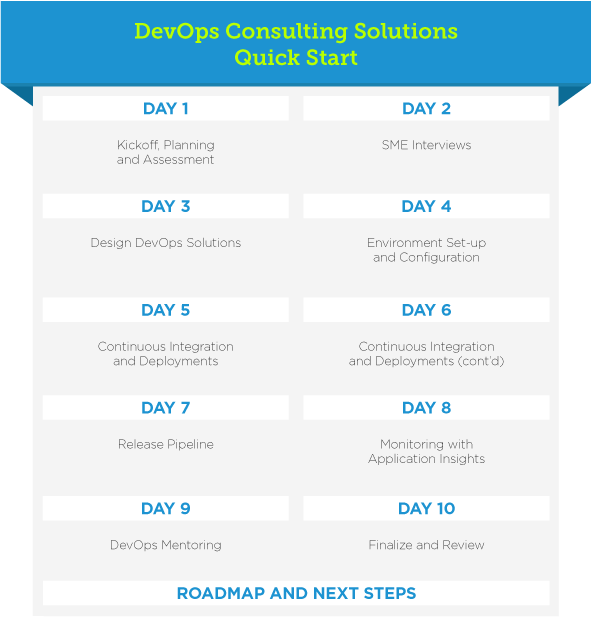 Schedule your 10 Day DevOps Consulting Solutions Quick Start now!